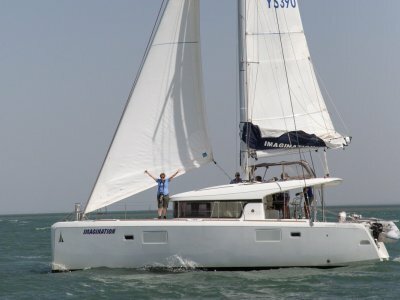 "Elation" is a Jeanneau Sun Odyssey 379 launched in 2012 and is an exceptionally well equipped three cabin version in superb condition. She has a shoal draft wing keel (drawing 1.65 metres) which is great for shallow water cruising and keeping out of the swells at anchor. Her modern and balanced Marc Lombard design, with hard chines and wide beam, extending right to the transom, creates stability and enhances her interior volume. The long waterline provides great performance under sail and power, motoring at over 7 knots with her folding, 3 blade propeller. Twin rudders and wheels make for exceptional balance with easy helm positions and excellent access to the dinghy and swimming platform and ladder. 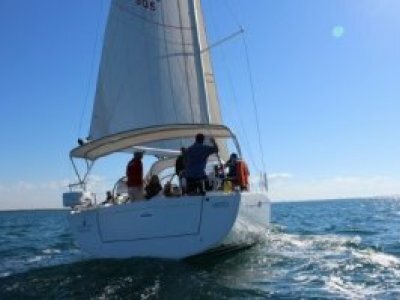 She has an excellent sailing inventory with roller furling 132% overlap genoa, a conventional mainsail, boom bag and lazy jacks, spinnaker rigging and whisker pole. All lines led back to the cockpit and clearly marked, making for easy, short-handed sailing. 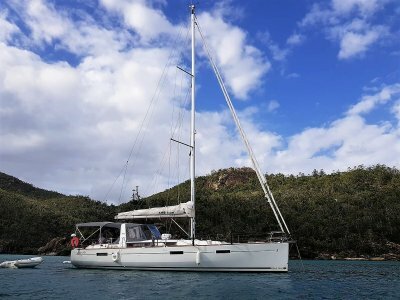 With a custom made bimini and dodger, large cockpit table, Sovereign SS BBQ, deck shower (hot and cold), additional water tank, wide opening transom, zodiac dinghy with outboard and stern mounted davit system, she is perfect for entertaining. There is an extensive inventory of safety equipment including 406 EPIRB, DSC VHF radio, manual and automatic bilge pumps, medical kits and fire extinguishers (4 x 2.5 KG). 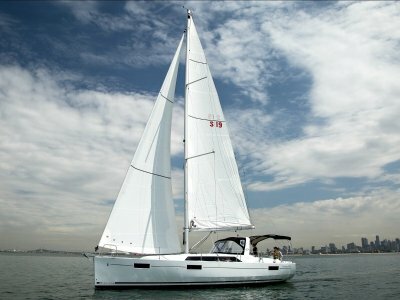 She has excellent refrigeration, additional battery storage (fully sealed and force ventilated), 240v shore power and charger, 12 volt LED TV with DVD player and a Simrad sonic hub docking station sound system with interior and cockpit speakers. As with all Yachtshare vessels, she is fully fitted out with all cutlery, crockery, pots and pans, glassware, linen, pillows and doonas for entertaining your guests and crew at sea. 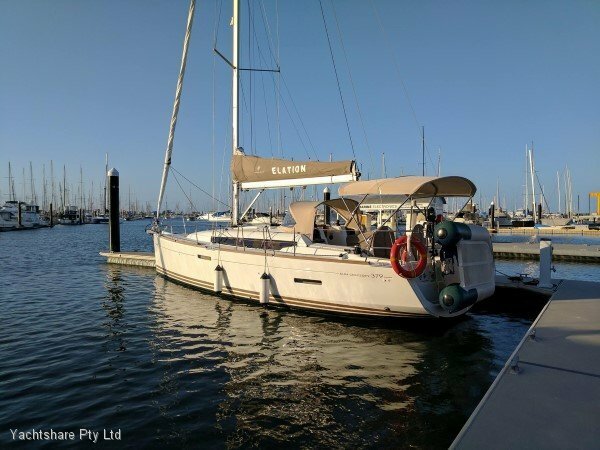 Resale shares are available in this great entry level sailing monohull.